Our vision is to make health research relevant and inclusive for everyone. The Public Programmes Team is a specialist unit advising on and delivering patient and public involvement and engagement, across Greater Manchester, nationally and internationally. We are financially independent and not-for profit, hosted by Manchester University NHS Foundation Trust in partnership with The University of Manchester. Building capacity for engagement and involvement within researchers and public contributors. We support organisations to develop thoughtful and thorough policies for engagement and involvement locally, nationally and internationally. Our portfolio of public engagement and involvement programmes has attracted national and international funding, and been recognised through a number of awards. We undertake research and evaluation work into patient and public involvement in biomedical and health-related research with a wide range of partners. Our portfolio of training workshops and bespoke support around engagement and involvement is based on over 15 years of experience. 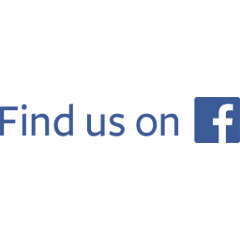 Like the Public Programmes Team Facebook page to keep up-to-date on all our news, events and projects.